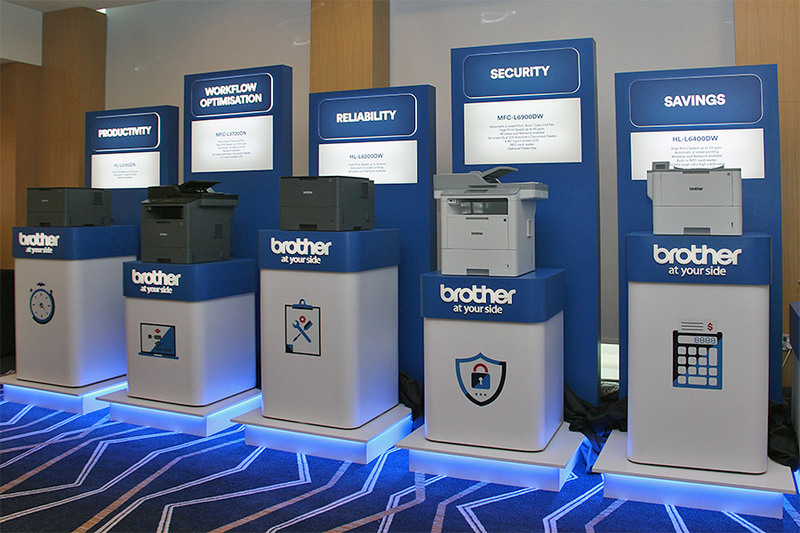 Brother has just announced an all-new mono laser series with models targeting small businesses with 10 users all the way to large businesses with over 150 users. 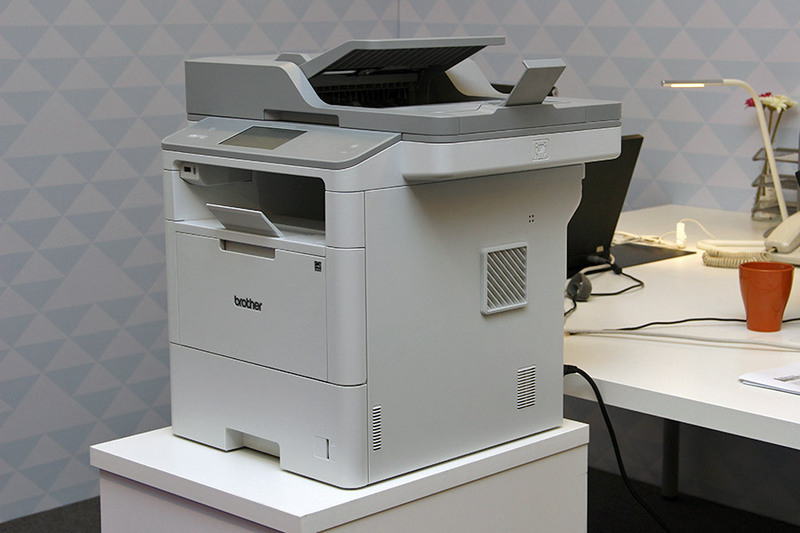 More specifically, the new models include three mono laser printers and two mono laser multi-function centers. Starting from the more entry end, we’ve the HL-L5100DN, HL-L6200DW, and MFC-L5700DN. 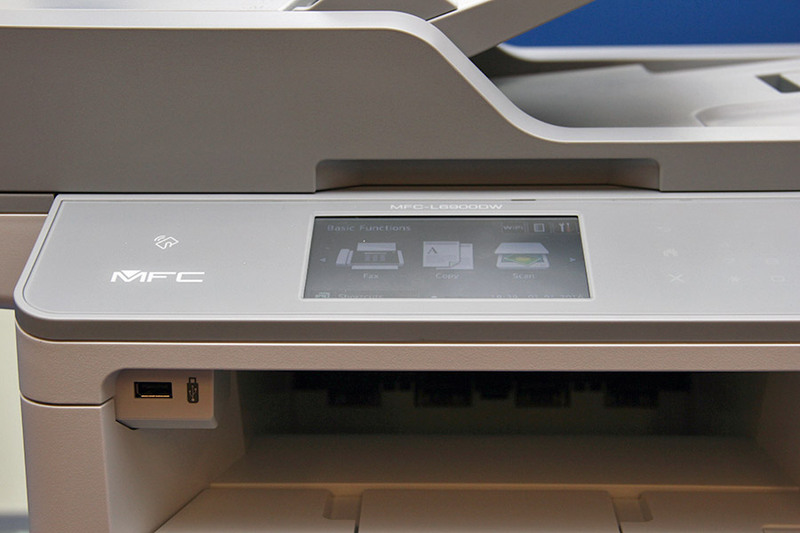 As their names imply, the first two are print-only models, while the MFC-L5700DN is an all-in-one device. Decked in a thick black-color chassis, the HL-L5100DN and MFC-L5700DN both print up to a speed of 40ppm in A4. Auto two-sided printing, 512MB memory, Fast Ethernet support, and a 250-sheet paper input tray come as standard, though of course, the MFC-L5700DN, being a multi-function device, can also handle copy, scan, and fax tasks. It also comes with a 50-sheet ADF and a 3.7-inch TFT LCD, as well as Active Directory support for central management of user login authentication. The single-function HL-L6200DW on the other hand can be seen as a faster version of the HL-L5100DN. It prints up to 50ppm, has 1GB of memory, and supports gigabit Ethernet networking. Like the other two models, it supports Secure Function Lock (SFL) 3.0, which enables admins to limit printer functions for groups and individuals, and Internet Protocol Security (IPSec) for print job encryption. The BRAdmin professional software is where users manage their Brother network-connected products. Besides the aforementioned security tools, users can use it for remote configurations and monitoring of page counts, toner, and drum status. The HL-L6200DW also sets itself apart by having a 520-sheet input tray, an up to 100,000-page monthly print cycle, and additional wireless network connectivity. If you include the 50-sheet multi-purpose tray, and the ability to add two more 520-sheet trays (the other two printers can do that, too), the HL-L6200DW can have a total input capacity of 1,610 sheets. Expectedly, all three models support mobile printing via Apple AirPrint and Google Cloud Print. 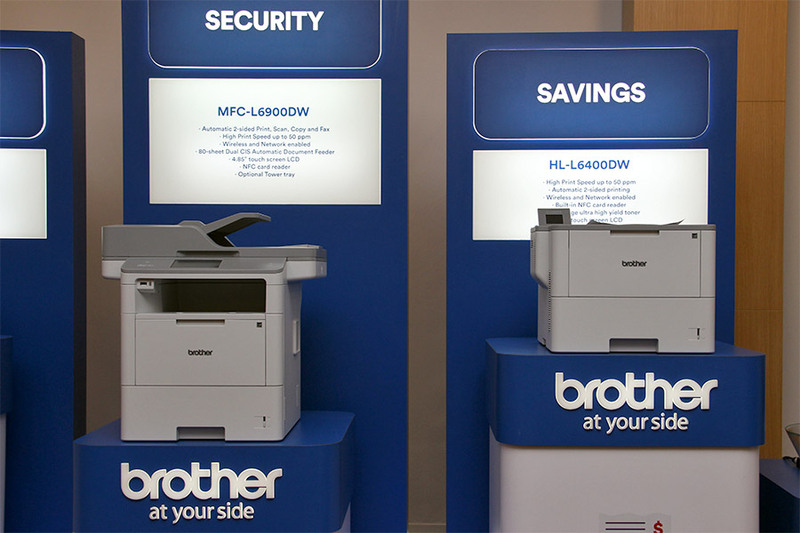 Users can also print using Brother’s iPrint&Scan mobile app. More impressively, these printers come with an 8,000-page yield in-box toner. A standard yield 3,000-page and a super-high-yield 12,000-page toners are also available for purchase. The drum is rated at 30,000 pages. 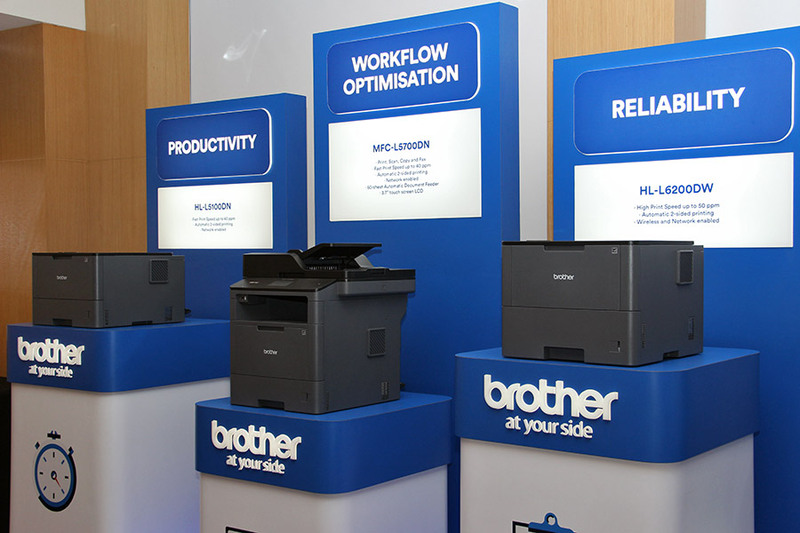 For larger businesses with more users and print more, Brother has also launched the HL-L6400DW single-function printer and MFC-L6900DW multi-function center. 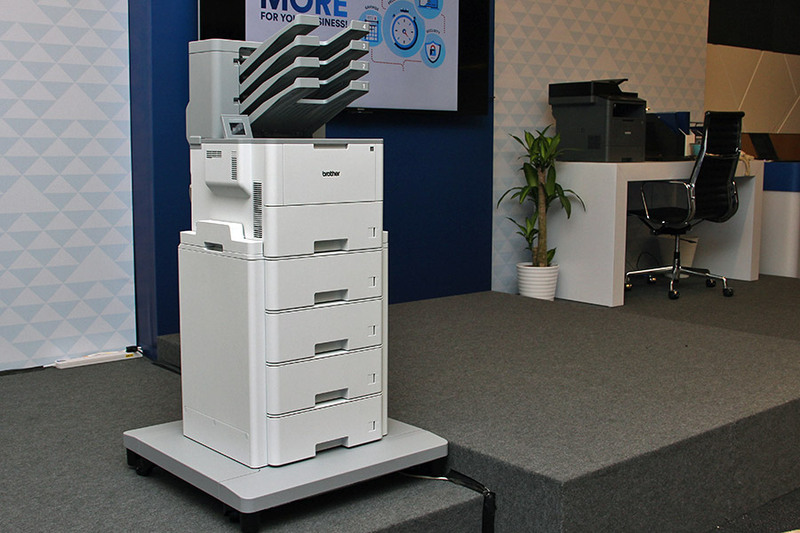 Encased in a white shell, both models have a monthly print cycle of up to 150,000 pages, are equipped with 1GB RAM, have a print speed of up to 50ppm for A4, support auto two-sided printing, mobile printing, gigabit Ethernet and wireless networking, and come with a 520-sheet input tray and 50-sheet multi-purpose tray. The multi-function MFC-L6900DW differentiates itself by sporting a 4.85-inch color touchscreen (vs. 1.8-inch on the HL-L6400DW) and an 80-sheet dual-CIS ADF, which means it can do scan two-sided documents in a single pass. It can also copy at a rate of 50cpm in A4, and has a 33.6Kbps Super G3 modem for its fax functions. USB direct print is also supported. Like the three other printers discussed above, the HL-L6400DW and MFC-L6900DW support the BRAdmin network management tool, with security features like SFL 3.0, IPSec, and Active Directory support. Furthermore, a built-in NFC card reader allows users to access the printers and activate print jobs via an NFC card without having to key in a password. The two flagship models also come with high yield in-box toners. To be exact, we’re talking about an ultra-high-yield 20,000-page toner here. Regarding expandability, both models can be upgraded with additional paper trays. The HL-L6400DW can take four more 520-sheet trays to bring total capacity to 2,650 sheets. It can also add an 800-sheet four-bin Mailbox with stacker and sorter (the bins can be assigned to individuals or groups) to bring total output capacity to 1,050 sheets. And when the output level reaches maximum capacity, the printer is intelligent enough to stop or pause the job automatically. For the MFC-L6900DW, users can also add extra trays to bring total input capacity to 2,650 sheets. But due to the presence of the ADF, the Mailbox can’t be fitted on it. The HL-L5100DN, HL-L6200DW, and MFC-L5700DN will be available from March 22, 2016, at a price of S$588, S$788, and S$888 respectively. The flagship HL-L6400DW and MFC-L6900DW will also go on sale on the same day, and are priced at S$888 and S$1,388 respectively. 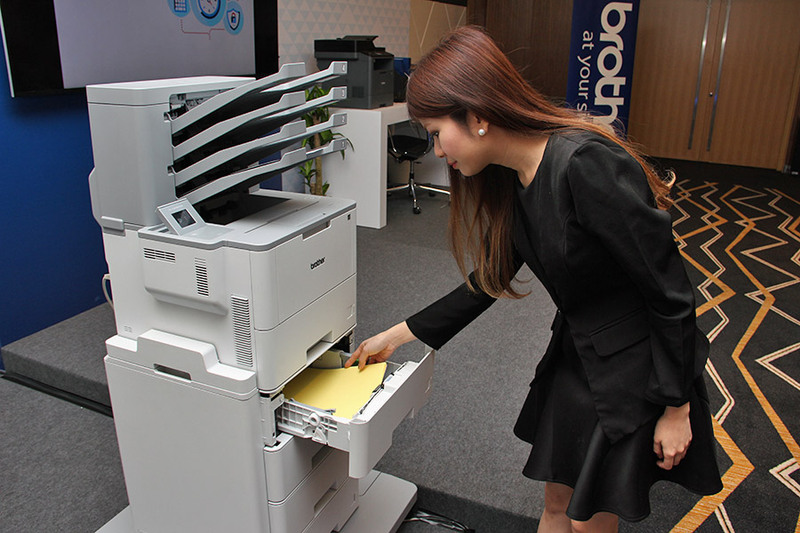 All five printers come with a three-year on-site warranty.